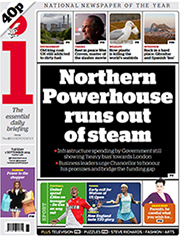 Our latest Brief on Public infrastructure investment & business activity in the English regions has been widely covered in the media yesterday including the front page of the Independent and the front page of the Yorkshire Post and today in the FT.
– The FT: UK’s Northern Powerhouse minister promises big investments. 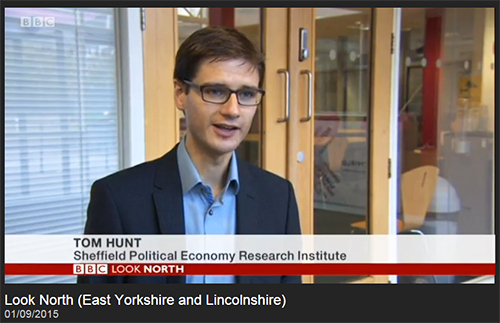 BBC LookNorth also covered the Brief in an excellent report featuring Tom Hunt, SPERI Policy Research Officer. Watch here 4 minutes and 30 s into the programme. Interested in the Northern Powerhouse & devolution debates? SPERI is organising an event on the 12th November 2015 on these issues. Join our mailing list to be kept informed. Full details coming soon.